Faceted Crystal Replacement for Citizen Cosmotron? 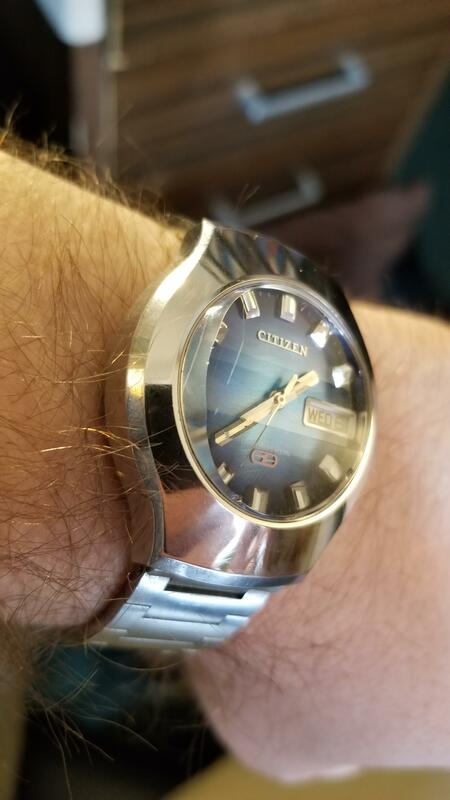 I recently picked up this Citizen Cosmotron. It had a couple tiny chips in the faceted crystal when I got it, and I just whacked it on the kitchen counter, adding a nice big scratch. I can't believe it!! Does anyone know a good source for these old faceted glass crystals? My google-fu has failed me. Alternately, can you polish mineral glass? I was under the impression you could not. It's a 1974 Cosmotron, Model no: 4-790472K. Thanks for looking everyone!